In keeping with the Back-To-School theme, I am sharing a printable with you today! 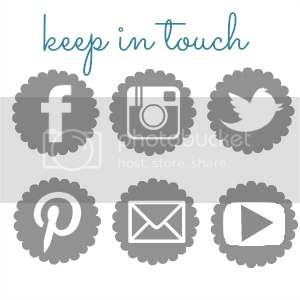 We all love printables! 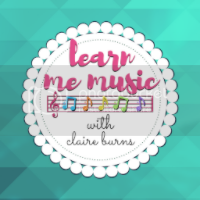 In this printable download, you will find blank templates for Music Class lesson plans, grade books, and seating charts. These are designed specifically with music teachers in mind. We are unusual folk...we have 20, 30, or even 40 classes at a time, with 20-30 students in each, and we often teach the same lesson 5, 10, 15 times (once to each class) before moving on to the next lesson. If you're here reading this, you know this and can easily relate! 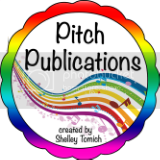 The best part of this printable is that I can customize these pages for whatever need you have (for example; grades 3-5 only, 40 students in each class, etc.) since these were designed for the "typical" elementary school music teacher (does that even exist?!?!? What is typical?!?). Anyway, I hope you can use these and please contact me for customization once you purchase! I am happy to accomodate! Once you have your pages customized, I recommend you print enough grade book, seating chart, and lesson plan pages for the school year, add some tabs, take these to an office supply store like Office Max or Office Depot, or to FedEx Kinko's, add a durable cover and back, and have the experts there bind it for you. You can get it spiral bound and it will last you the whole year! I have done this for years and it works great! You have everything you need for teaching your classes in one location! 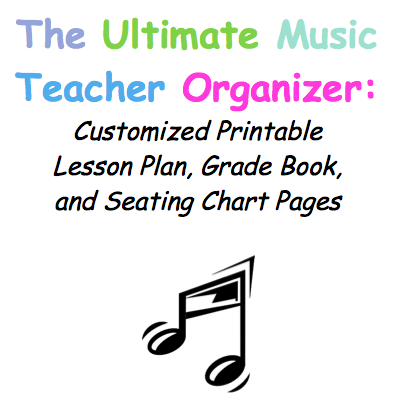 DOWNLOAD "THE ULTIMATE MUSIC TEACHER ORGANIZER" PRINTABLE HERE! I absolutely love the song so much! 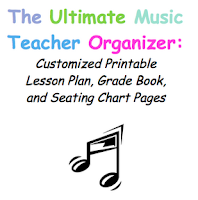 I subscribed this music teacher organizer. I'm going to a vocational school for teaching with Essay Writing UK next year and I love your music teacher organizer to support me better understand what teaching is like. Wowwww awesome songs love it keep it up and thanks for making such a beautiful songs u put your best effort in it. 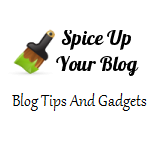 Your article is to a phenomenal degree brilliantly made and enthralling. I have never watched a more extraordinary post than this one. http://www.usaassignmentservice.com, a debt of gratitude is in order for making such delightful tunes u put your best exertion in it. I am looking that sort of post thank for allowing to us keep it up.